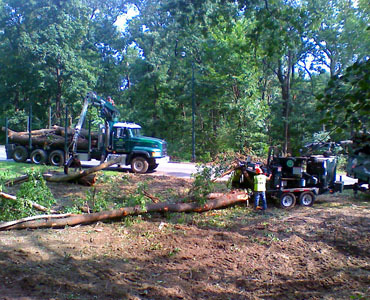 Our land clearing division has the necessary equipment to handle tree removal work for contractors and developers, from small tracts to clearings of 100+ acres. In addition to tree clearing, we also offer brush mowing and grubbing. We have the ability to mobilize our Diamond Z DZ8000 tub grinder to any location, enabling us to recycle large amounts of material on-site. 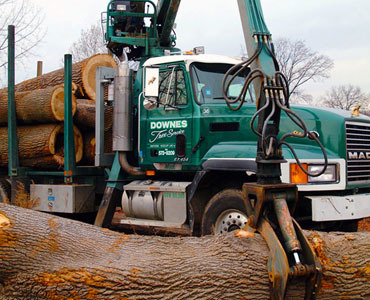 With our large fleet of land clearing equipment, tractor trailers, and containers, Downes Tree Service can clear and remove the trees, stumps, and all processed materials from your site. 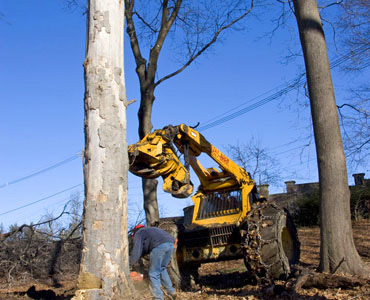 Downes is one of the most trusted land clearing companies in New Jersey and Tri-State Area. We work with many property development companies, land developers, commercial real estate developers and other land clearing contractors. 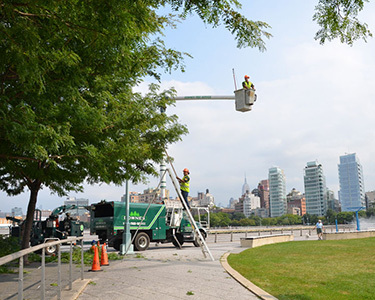 Downes can handle your clearing and grubbing project from start to finish! 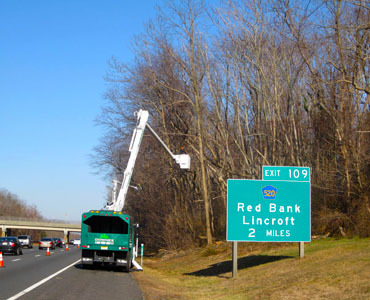 In addition, we have successfully completed tree and brush clearing work for Mountain Creek New Jersey Ski resort for new trails, as well as 18 acres for Crystal Golf Resort for the new course. 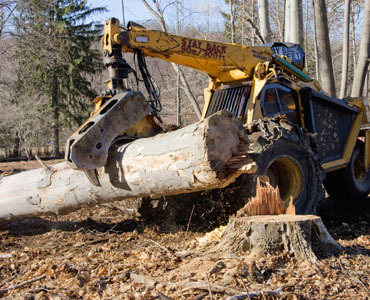 Our list of landclearing projects is continuously growing. Contact us for the most up-to-date references.